I’ve gotten lazy about juicing lately. My beautiful Super Angel 5500 all stainless steel juicer is an amazing machine, but alas, it always seems like a big project to get it out, wash the produce, juice it and then clean the machine. It has become especially hard lately because I’m so into smoothies and the blender is about 75% faster to use and clean. Anyway, today I decided to try a different approach: make less. 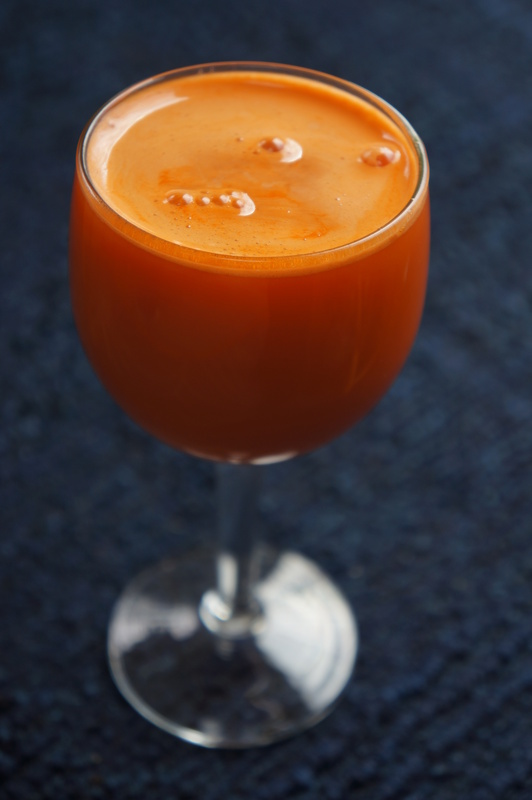 I used just a few carrots, 2 celery stalks, about an inch of ginger, and 1 apple. It was fast to scrub up the produce, the juicing went faster and this made 2 small wine glasses for my husband and me. It made the perfect mid-morning pick-me-up. I really liked the zing of the ginger and, being a superfood, I know it was jazzing up my nutrition for the day. After this I was ready for 2 1/2 hours of hard labor in the garden!